Do you experience edge browser not responding to clicks or Microsoft edge very slow to respond? Sometimes, you may come up with the issue unresponsive browser at startup or taking more time for web page loading? We have researched about the possibilities of slowing down the Edge browser and provided tips to speed up edge browser. The Microsoft edge is the faster and sleeker browser than Internet explorer its predecessor. But sometimes it also faces issues like bugs, speed related, and many more. 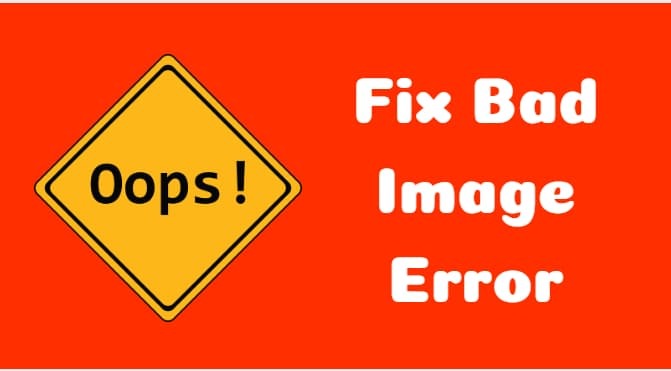 On following the below guide of tips, you can fix the many issues related to edge browser like Microsoft edge not working, Edge closes right after opening, Edge browser not opening or crashes at startup, Microsoft edge not responding, etc. Finally, continue reading to know how to speed up edge. Edge browser is having many new functionalities with lot of improvements to compete with Firefox and Google chrome. Usually, it takes less than 2 seconds to start the browser and loads the web pages even more faster. The one of the most important thing is that Edge Browser is less on system resources. However, the regular updates from the Edge browser is fixing the bugs and adding many more new features and functionalities. In some of the cases, Edge browser is not running as expected and people are looking for tips to make edge faster. Some of the people had issues after the recent update of the Edge browser and the other on the long range use of the browser. 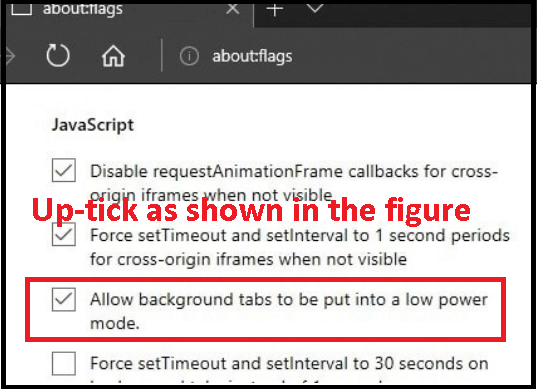 Whatever the issues may be the below given tips to optimize edge browser speed not only speed up edge browser but also helps to fixes issues related to typing is slow in edge. Try all the below given Tips To Speed Up Edge Browser to make your edge browser work faster than ever before. 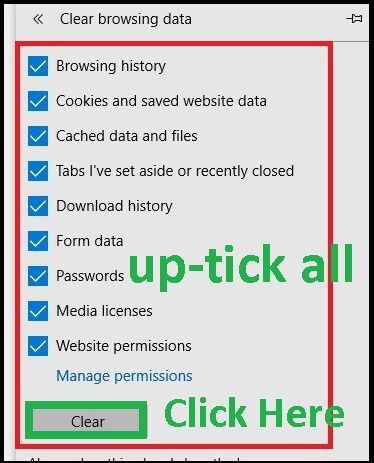 On every website visit on Edge browser, it collects caches and cookies. However the collected data of each website may also result in slowing down the Edge Browser. The regular cleaning will enhance the performance and improves browser speed. This is one of the best Tips To Speed Up Edge Browser. The step by step procedure will help to clean up edge browser history, cookies, cache, and others with ease. 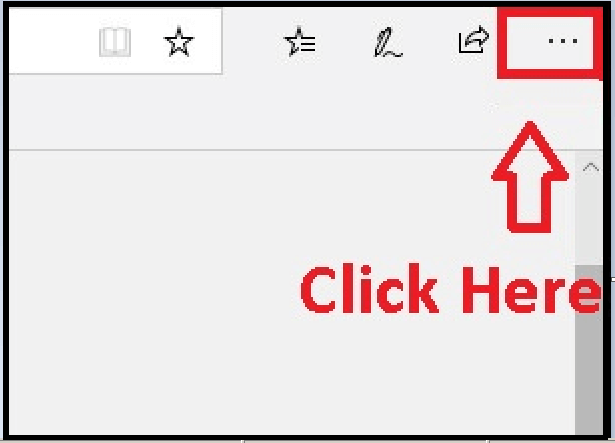 Initially, launch edge browser and click on Menu Option representing three horizontal dots(…) as shown in the figure. The menu option is present on the upper right corner of the browser. You can open the settings option using a short cut keys of Alt + X. From the drop-down list select settings and on the next screen select choose what to clear option present at button of the window. 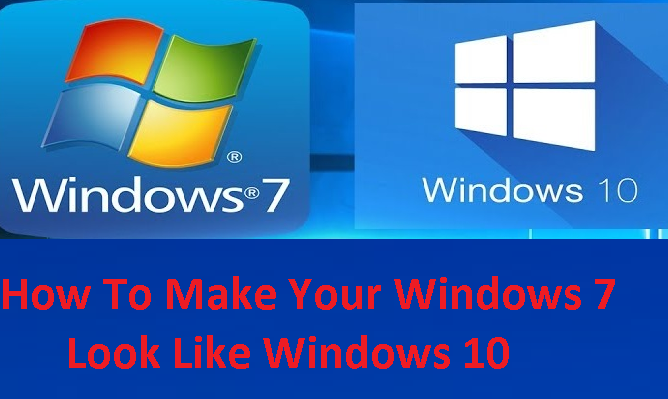 Mark or up – tick all the options, keeps in mind that this will clear all your data and you have to re – login into the websites again, this also clears all your passwords, and other cache too. In short you will browse the web pages as a new user. However, the other saved settings will not be changed. Finally, click on clear button. This clears all your saved data in the browser and cache. Now, close the browser and re – launch it. We hope that cleaning up cache helped you to speed up edge browser. Note: Perform regular clean up to avoid slowing down your edge browser and to perform effectively. 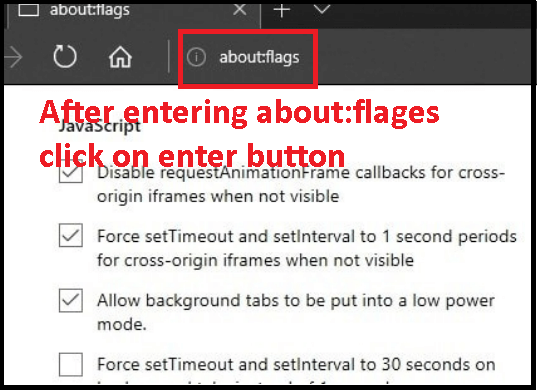 In this you can know, Microsoft edge about: flags. 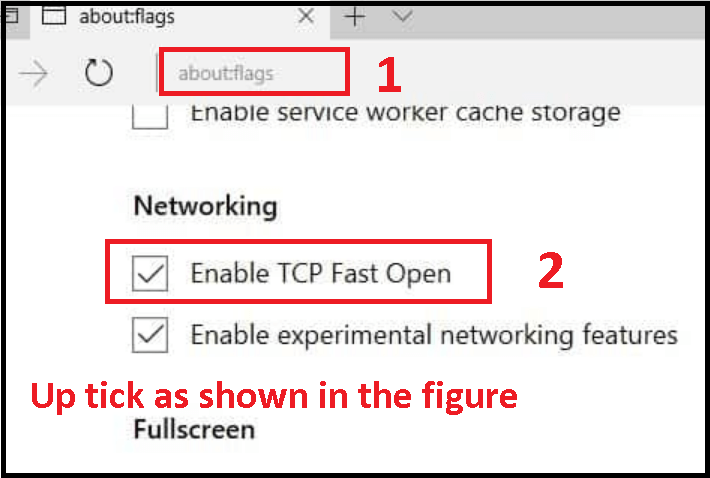 TCP fast open will help the system apps and software to maintain network connection. This will also ensure the bytes count exchanged are error free and reliable. For faster web page loading, there is a need to permanently enable TCP fast open. Search for about:flags in your edge browser. To do this copy it and paste in the url field and press enter. Now, the developer settings & experimental features are opened. Here, under experimental features, search for Networking heading. Now, up-tick the box provided for the enable TCP fast open. Finally, restart the edge browser and hope that this tip has fixed the issue. Copy and paste the about:flags in the URL field of the browser and click on enter button. Now press Shift + ctrl + D buttons simultaneously to get full access list. Now under experimental features, search for diagnostics option. Now, close the Edge browser and launch it again. The network issues with edge browser causing hindrances to the browser and results in slowing down. The proxy servers are the mediators to handle requests in PC while opening a server or site. Here, the enabled proxy settings effect the web page loading performance. It is one of the best Tips To Speed Up Edge Browser. 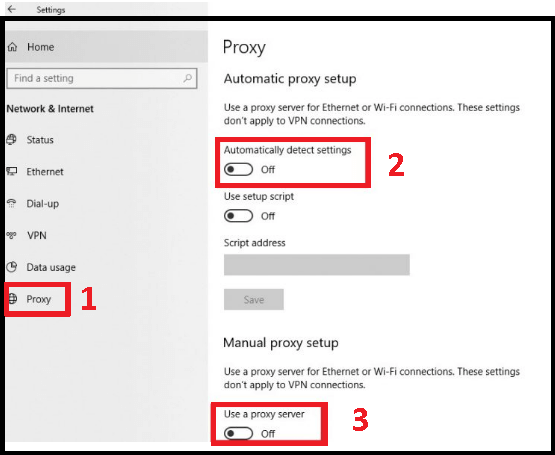 On following the below steps turn – off proxy settings and see whether it boost up your browser performance. Go to start button, click on settings menu. Click on Network and internet option. On the next screen, click on the proxy option present on the left panel as the last option. Now, move on to the right panel and toggle-off automatically detect settings and use a proxy server options. Lastly, relaunch the Edge browser and check whether there is any boost in the speed of the browser. Installing lot of extensions may affect the performance of the edge browser. So, uninstall the unwanted extensions and update the required extension (as the updates will contain the bug fixes of the previous versions). As the extensions slows down the performance of the browser, deleting unwanted browser will works as one of the best Tips To Speed Up Edge Browser. 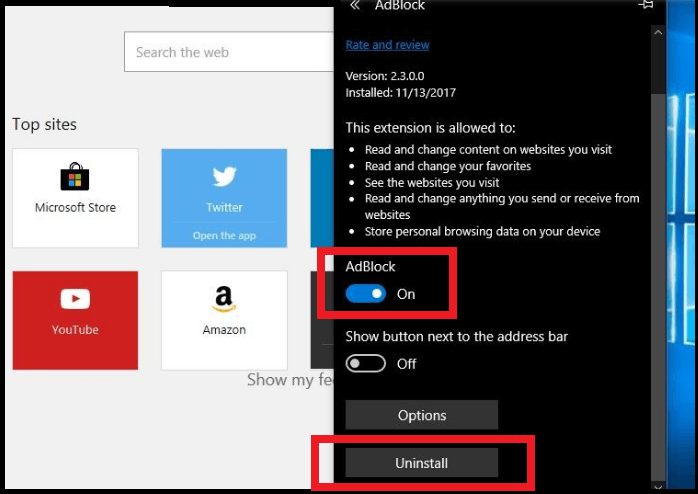 Follow the below process of steps to disable Microsoft Edge Extensions. After launching the edge browser, click on the menu representing with three horizontal dots (…) present on the top right corner of window. In the drop down list search for extensions option and click on it. Right – click on the extension from the set of lists, select Turn off option to Turn – off the extension. 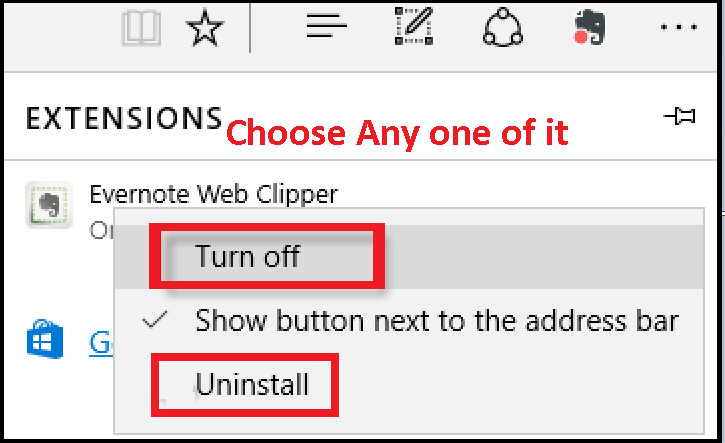 You can also completely uninstall the extension on click on Uninstall option as shown in the figure. Click on the extension to see its settings. Click on the AdBlock toggle to option to turn-off Ads (Blue color represents blocking of Ads). Or else, you can choose uninstall button to completely remove the Edge browser extension. As the millions of websites are using old technologies and this is a hassle for the modern web browsers to view the content. To overcome this issue, Microsoft developed compatibility list. If your browsing website is in the compatibility list, the edge browser displays page content by adapting the code. Till now everything is fine but what if the website if updated and Microsoft has not updated the list. Due to this the website content of the compatible list will not be displayed accurately and increases web page load time. 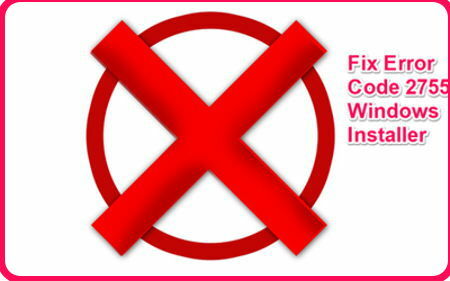 To avoid this situation, disable Compatibility list following below steps. Type About:flags in the url space of the browser and click on enter button. 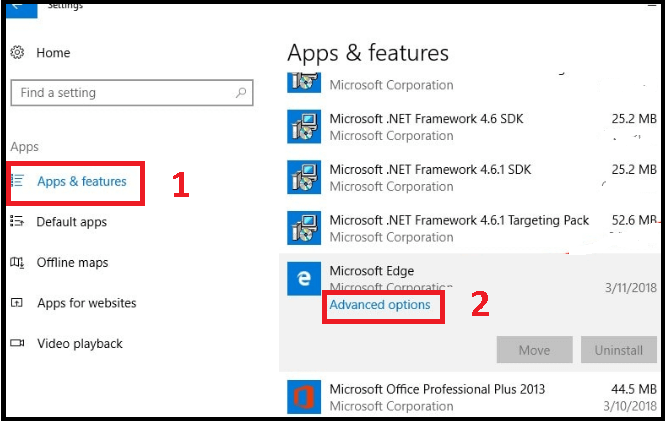 Scroll down to the developer settings and clear the tick of use Microsoft compatibility lists as shown in the figure. Now, relaunch the browser and this will not completely boost up the browser performance, changes a little. But, will definitely works as one of the speed up edge browser tip. When you launch the edge browser, you notice to open MSN webpage containing lot of slideshows, graphic images that makes your edge browser to work little bit lower and sometimes unresponsive. This works as one of the best Tips To Speed Up Edge Browser. Follow the below given steps to reduce the slow time caused by MSN webpage on setting a blank page. Click on three horizontal dots Menu present on the top right corner of the edge browser. The drop down list consists of various options, select settings option. 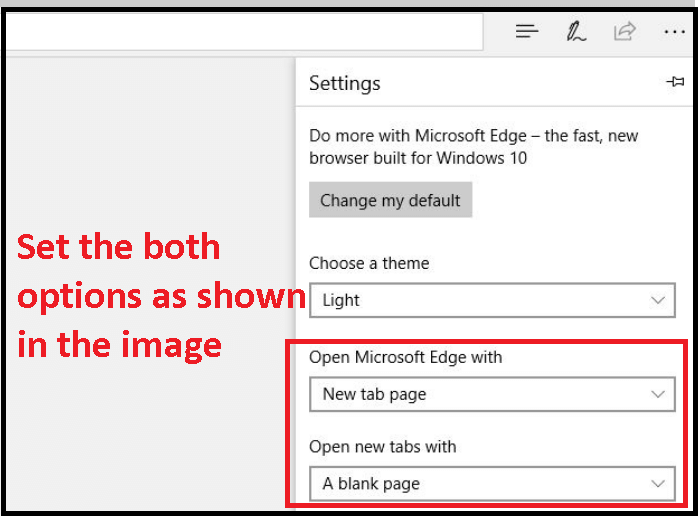 On the next screen, from the list of options, click on Open Microsoft Edge with option and choose New tab page. Next, click on open new tabs with and set A blank page. You are done, close the edge browser and relaunch it. 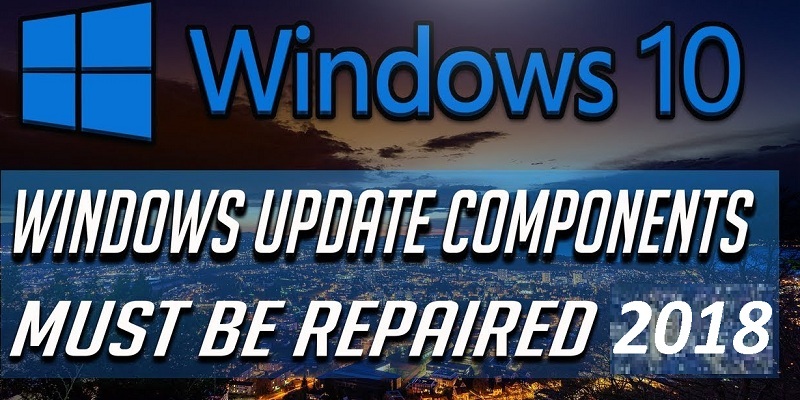 The update of Windows 10 is having an option of reset or repair in-build apps to default setup. On resetting edge browser, most of the issues causing the edge browser to slow down will get set. It works as one of the great Tips To Speed Up Edge Browser. 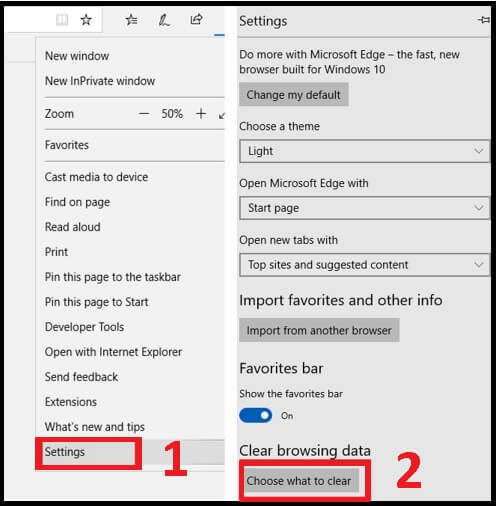 Follow below process to reset browser using Microsoft edge advanced settings. Initially, close the edge browser. Now, go to start button and click on the settings option. Here, go to Apps > Apps & Features present on the left panel of the window. On the right panel, search for Microsoft edge and click on it. You can see advanced options as shown in the figure. Click on it. 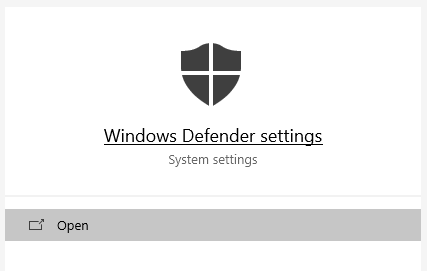 New window opens, click on repair / reset option that repairs the Edge browser. 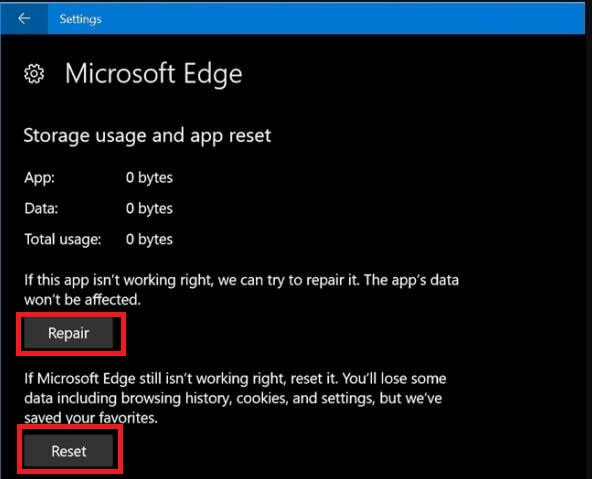 You can perform the resetting EDGE browser on following the below procedure. Close the Edge browser before starting this process. Open Computer icon or folder in your system. Now, open the local disk C: and on the next window click on users folder. Click on your system username (for Example, admin). Next, navigate to AppData > Local > Packages. 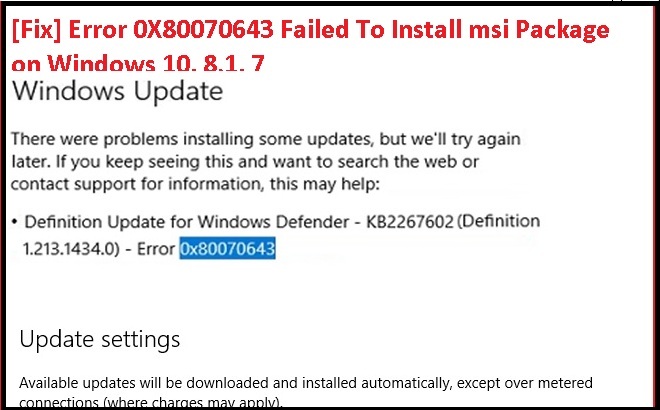 Under packed window search for Microsoft.MicrosoftEdge_8wekyb3d8bbwe. Right-click on the selected file and delete it. Now, go to star menu of the system and search for Powershell (Admin). Now enter reinstall / re-register edge web browser. After entering above command in the Administration powershell, click on enter button to execute it. On successful execution of the command, you will get the execution script as shown in the figure. 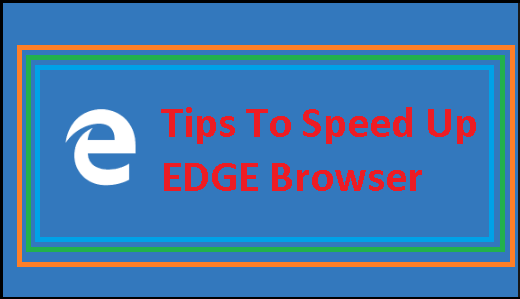 We hope, Tips To Speed Up Edge Browser helped you to have a faster browsing experience. You can directly reset edge browser instead of performing cleanup. 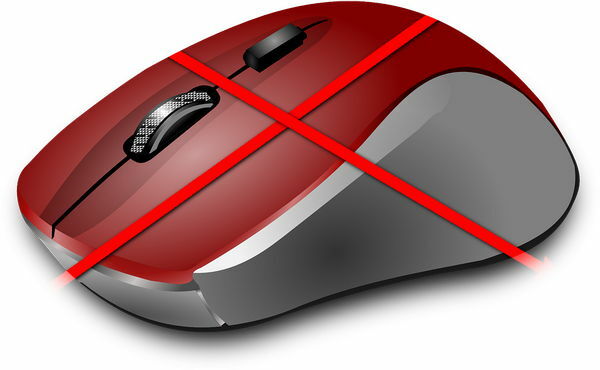 The antivirus present in your system also main cause for slowing down the edge browser. You have to perform the antivirus scan frequently and install any one of the antivirus scan in your system to avoid virus entering into your system. Still, do you require any more tips or facing any issues with your systems? Write to us in the comment section and we will give you the best solutions.